If you find the right shampoo, that will be half the battle won against hair loss. I know shampoo only stays in your hair for a few minutes, but it makes such a huge difference in the health of your hair. Have you ever noticed, after using a particular shampoo your hair fell like crazy? I have. And that made me throw away even the very expensive bottle in the garbage bin. Over the time I have realised that ‘more expensive’ doesn’t translate into a better result. But nor does cheap. Even the so-called ‘organic and natural’ shampoos have their limitations. What has worked for me all the time is using a homemade shampoo. I know it needs doing some work, it needs some planning, but then it gives you results — which is so important. And if you are spending thousands on shortcuts and not getting results then there’s no point in doing that. You might as well want to try the simple, homemade solutions. Why Use A Homemade Shampoo? Because you know exactly what goes into it. Homemade shampoo is free from artificial stuff like detergents, propylene glycol, diethanolamine, perfumes, parabens etc. These ingredients can be toxic to our hair, body as well as environment. Detergents are used in regular shampoos to remove grease and dirt from the hair. They are also the ones that create foam, lather and bubbles. But the sad thing is most detergents irritate our scalp skin and strip hair of its natural protective oils, leaving it dry, frizzy and dull. Preservatives such as methyl and propylparaben are put into the shampoos to prolong their shelf life. These parabens along with artificial perfumes may trigger an allergic skin reaction. And they can also affect your hormonal balance, which can, in turn, result in hair loss. Even the so-called natural shampoos may not help. This is because the natural detergents in them tend to have a higher pH, whereas our scalp has a lower pH (around 4.5 to 5.5). So if the pH balance goes on the higher side, it can make our scalp dry and flaky as well as cause dandruff and other scalp conditions. Sadly, these man-made ingredients — parabens, detergents, preservatives and artificial perfumes can take a toll on our scalp and hair follicles. And when the scalp and hair follicles— the foundation of hair—are unhealthy, they will not grow healthy hair, no matter what magic pills or potions you take. 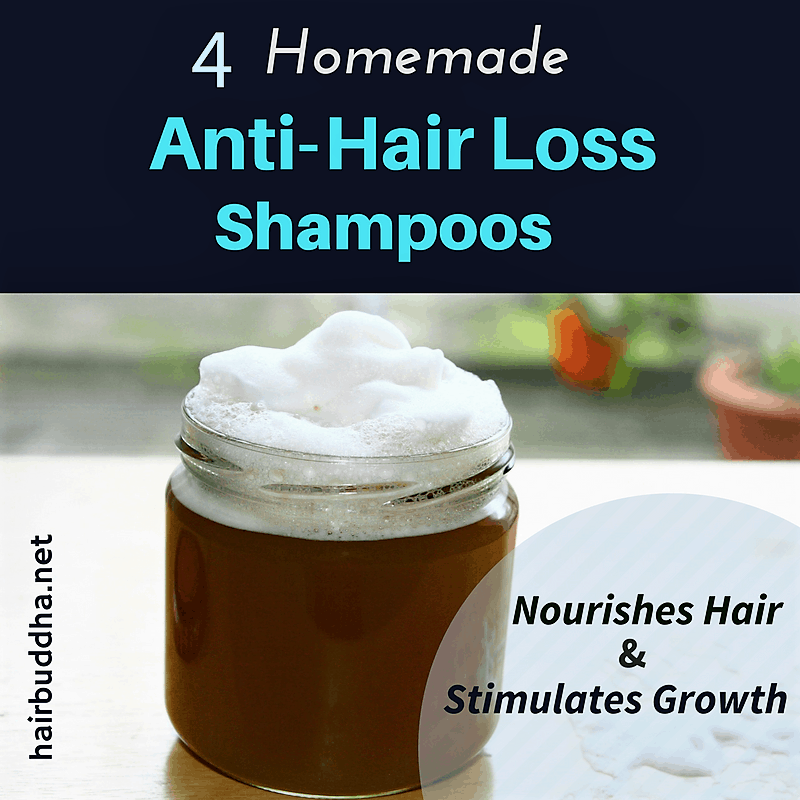 For these reasons, a homemade shampoo made using natural ingredients is a better choice, especially if you are losing tons of hair and want to regrow whatever hair you have lost. Also, with use of homemade shampoo your hair will get more shiny, manageable, and voluminous. And if you have been suffering from dandruff and scalp irritation/itchiness it will go. This I can say from my own experience. So if you are excited to try out some of the homemade shampoos, you have a plenty of choices. Here are 4 nourishing and stimulating shampoos for hair loss. You will be surprised at how simple and easy they are to make. In a bid to save your hair, homemade egg shampoo is terrific. It’s not your ordinary shampoo. It is loaded with tons of nutrients. First, separate the egg yolk from the white. Put the yolk and 1-2 teaspoons water in a bowl. Add the other ingredients if using and mix well. 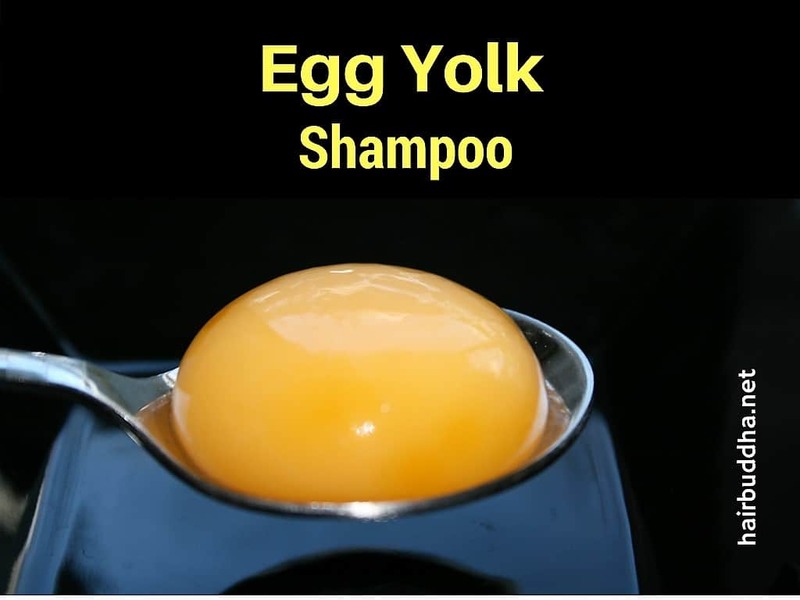 *Use whole egg if your scalp is super oily, this will help remove excess oil. This recipe is for shoulder length hair. If your hair is longer, double it. 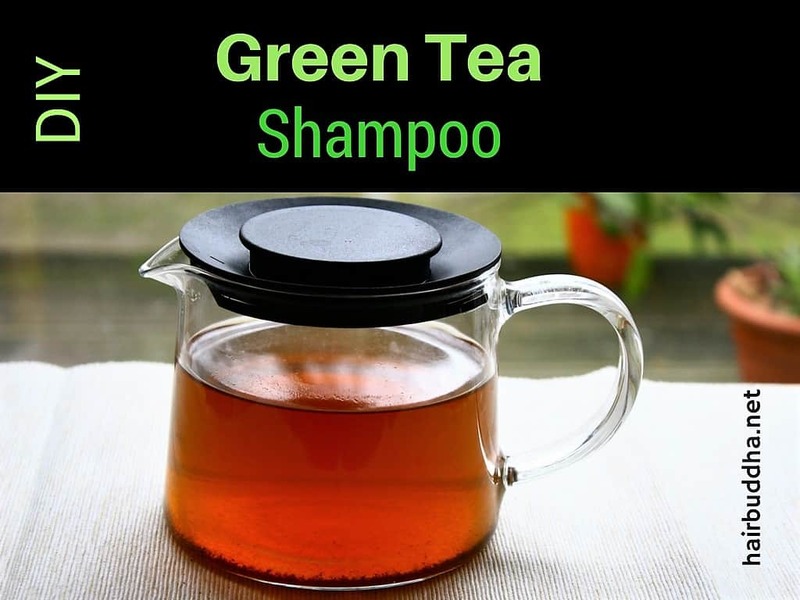 You can add a bunch of other ingredients to make this shampoo, see here. You can apply the egg shampoo in wet or dry hair. If you have oil massaged your hair and want a squeaky clean effect apply in dry hair or else wet hair as you would normally do. This step is optional: I do like to use a herbal tea rinse to condition and add shine. It also helps to tackle the smell. To make the tea, take 1 tablespoon herb of your choice. Add a cup of hot water to it, cover and let it steep until cool. Strain and use as a last rinse. In this shampoo, we add two more things: pure honey and castile soap. Honey is a great moisturiser and adds luster to dull hair. While castile soap is a natural soap made from plant oils and is free of nasty preservatives, colours and perfumes. You will not need all the shampoo. So store any extra in the fridge. It will last for a week or two. You won’t need any conditioner after washing hair with shikakai as it’s naturally moisturising. With just one use, you can expect a healthy scalp and soft, shiny and bouncy hair. Let it sit for 4-5 minutes. Rinse thoroughly with water. Finish with a cool water rinse and let your hair dry naturally. Enjoy your soft bouncy hair! Feel free to experiment with other herbs (nettle, lavender, neem, tulsi, orange peel, chamomile, amla) and essential oils. 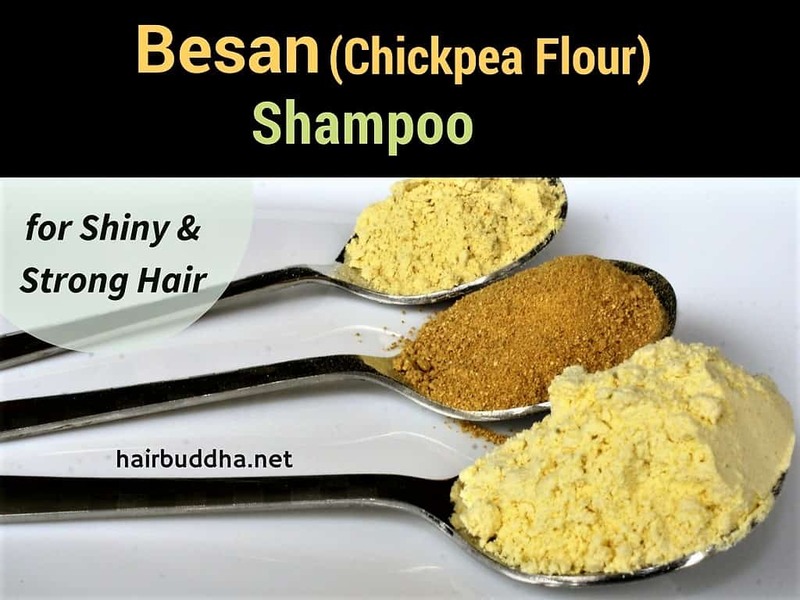 Besan is very nourishing for hair. It is chock-full of protein, folic acid, magnesium, zinc, selenium and essential fatty acids. Besan also contains extraordinary amounts of antioxidants which protect the hair from damaging effects of free radicals. But it’s the presence of natural saponins that make besan an amazing cleanser. Regular use of chickpea flour shampoo will make your hair shiny and strong. Add water, little by little, and mix until you have a smooth paste. Make sure there are no lumps. For natural fragrance, add 3 to 4 drops of essential oils of your choice, or choose from lavender, rosemary, peppermint, ylang ylang, or chamomile. Wet the hair. Massage the besan cleanser into scalp and hair just like your normal shampoo, but don’t expect it to lather. Leave on for 2 to 3 minutes, then rinse off thoroughly. If your hair feels clean and soft, then you do not need a conditioner. But if it doesn’t, then use a conditioning hair rinse. 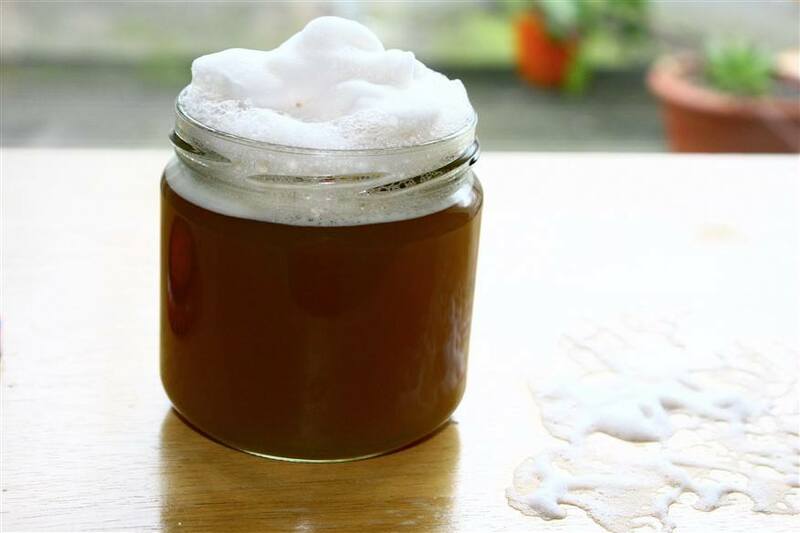 See egg shampoo above for how to make your own conditioner/herbal hair rinse. You can replace chickpea flour with flax seeds flour or rye flour. You can make your own orange peel powder, see here for instructions. Which is your favorite shampoo for hair loss? Please share in the comment box below…. Hey….i loved your ree-shee shampoo.. For how many days can I keep ree-shee shampoo with fuller earth..
Hi Neha, I am happy to know you loved ree-shi shampoo. You can keep it for a week in the fridge. which shampoo is best for oily hair? natural shampoo homemade is best. Shikakai and egg my favourate. My hair growing thick and nice. Thanks you madam. As a kid I have used Meera hair wash powder and it has always helped keep hair issues at bay.However I am afraid to use it again these days as the quality has changed over the years with addition of sulfates.Could you help me make meera hair wash powder at home (please suggest measurements for the ingredients)? That way I can be 100% chemical free. The ingredients listed on meera hair wash powder box are listed below. I researched on the internet and came up with this ratio,please suggest alterations in the ratio if needed. Not sure about the ratio of rest of the ingredients- Mahua seeds/Indian butter nut,coconut shell powder, Eucalyptus globulus,bay leaves, Wild Licorice, bukkan, Kapur Kachri. Also, please suggest ratio of these ingredients as well. For the basen shampoo can I add coffee powder as a substitute for orange peel powder. Could you also help me with best oil method to prevent hair fall & also coffee hair mask? Hey Minaz, sorry to trouble you again. I have been using your egg shampoo regularly, and I can only say thank you very much. My hair is less thin, and feels better. However, today, just to experiment, I went and bought ingredients for the besan shampoo. So I got the aloe Vera juice, and only after getting back home did I realize there are preservatives in it. It has sodium benzoate and potassium sorbate. It also has some sorbitol. I went online and did research and have found out that sodium benzoate can potentially harm me. I want to take your advice about the whole issue – whether I should use the juice, drink it, or throw it away? Hi Minaz. This morning, finally, it had started smelling a little different. Or maybe I wanted it to smell different. In any case, I threw the remaining away, and I’m gonna make a fresh batch. Thank you. Hi Minaz, sorry to bother you again. I’m getting worried now. It has been almost 6 days, and I can’t say that the shampoo has gone bad. The smell and color look okay to me. Maybe it’s because I added lots of lemon juice and some of olive and almond oil that’s preserving it. But in any case, I’m no expert and I don’t want to put shampoo that’s gone bad on my already almost bald head. Could you tell me how to check for bad EGG shampoo please? Maybe I could email you a picture or something if you can give me your email? Hi. First of all, thank you so much for your time and effort. I just have one question – if I make a large quantity, for eg 300 – 500 ml of the shampoos, at what rate will they go bad at room temperature? Hi Manan, you can’t store it at room temperature, it will go bad in a day or two. Thank you Minaz. Although that’s very disheartening. How about the refrigerator? And secondly, how will I tell if it’s gone bad? Will it be the smell or will it start looking different? I’m asking because I made some of the egg shampoo using 2 eggs, and apart from all the ingredients mentioned in the main recipe, I added peppermint essential oil, olive oil, and a spoon of almond oil. It’s been 4 days, it’s been in my bathroom, and it smells fine, and I use it every day. Am I doing something wrong? Could you help? Hi Manan, I would say you are lucky the egg shampoo has not gone bad. I have given storing instruction for shikakai shampoo in the article (see extra notes). How to remove oil from hair I use shikakai shampoo but oil is not properly washed out.Kindly help me in this. To remove oil, apply egg shampoo followed by shikakai shampoo. 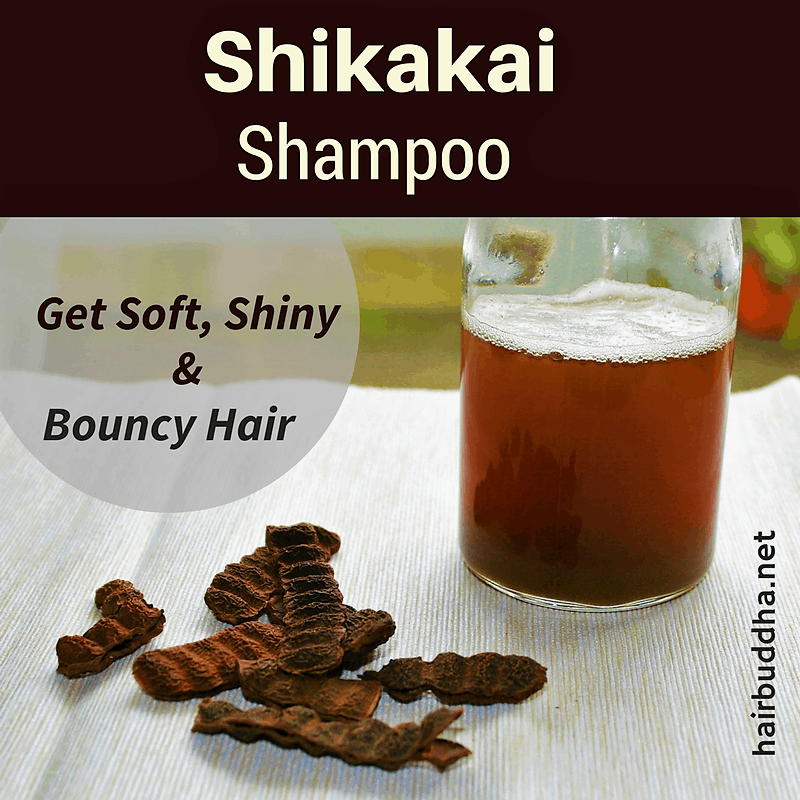 You can use shikakai shampoo when you don’t oil your hair. Hi, I have oily scalp. I am a male and i oil my hair before shampooing sometimes the night before. Wil egg shampoo be able to clean all thag oil? Yes egg is a fantastic cleanser. But use no more than once a week. In-between you can use a herbal tea or shikakai shampoo to freshen your hair. Very useful article. Can the besan and egg cleanser be used as a hair pack then washed with water? My hair is super oily. Yes of course, you can use it that way. I use egg shampoo and it has made a big difference. No dandruff. My hair has grown and has got’n stronger. It works for real. I too love egg shampoo! Wow came looking for one home made shampoo got 4 options. I have normal hair will try them all over next few weeks. Can I use more than one optional ingredients in the mix? Yes go ahead and experiment with different herbs. Once you find the right ones for you it will be worth it.